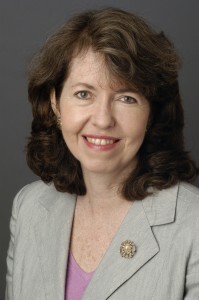 Melanie Kirkpatrick is a writer-journalist based in Connecticut and a senior fellow at the Hudson Institute. She contributes reviews and commentary to various publications, including the opinion pages of The Wall Street Journal, for which she worked from 1980 until mid-2009. Her books, Thanksgiving: The Holiday at the Heart of the American Experience (2016) and Escape from North Korea: The Untold Story of Asia’s Underground Railroad, are published by Encounter Books. At The Wall Street Journal, Melanie was deputy editor of the editorial page from 2006-2009 and a longtime member of the editorial board. As a deputy editor, she was responsible for the editorial page’s coverage of international issues and oversaw the opinion pages of the Wall Street Journal in Asia and Europe, the Far Eastern Economic Review and the U.S. columnists on foreign affairs. She wrote editorials and op-ed articles on foreign affairs. From 2001-2006 she was the editorial page’s associate editor, responsible for the daily Review & Outlook (editorials) column. Before that, she was op-ed editor of the paper. During her career at the Journal, she also oversaw the launch of OpinionJournal.com and other online products, managed the editing and production of books published by the Journal, and served as a member of the board of the Dow Jones Newspaper Fund. Melanie was a co-editor of the Journal’s series, Whitewater, a six-volume collection of Journal commentary during the Bill Clinton Administration. She was also co-editor of several editions of the Index of Economic Freedom, published annually by the Journal and the Heritage Foundation; the Index evaluates and ranks the world’s economies. Melanie spent 10 years in Asia, working for The Wall Street Journal Asia in Hong Kong and, prior to that, for a division of Time-Life Books in Tokyo. She received the 2001 Mary Morgan Hewett Award for Women in Journalism from the Friends of the East-West Center in Honolulu. The annual award recognizes a journalist who has demonstrated commitment, hard work and expanding influence throughout her career. She received a bachelor’s degree from Princeton University and a master’s degree in English from the University of Toronto. She was a Gannett Newspaper Foundation Fellow in Asian studies at the University of Hawaii. She is a member of the Council on Foreign Relations; a trustee emeritus of Princeton in Asia, an internship program in Asia for young graduates of American universities; a member of the advisory board of the Human Freedom Program of the George W. Bush Institute; and a director of the America for Bulgaria Foundation. Ms. Kirkpatrick is married to Jack David, who is a senior fellow and trustee of the Hudson Institute.